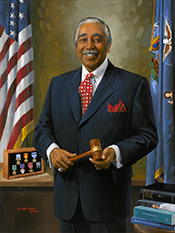 Charles B. Rangel in Black Americans in Congress, 1870-2007. Prepared under the direction of the Committee on House Administration by the Office of History & Preservation, U.S. House of Representatives. Washington: Government Printing Office, 2008. Rangel, Charles B. and Leon Wynter. And I Havent Had A Bad Day Since: From the Streets of Harlem to the Halls of Congress. New York: Thomas Dunne Books, 2007. ___.The Caribbean and Our Drug War. TransAfrica Forum 7 (Summer 1990): 39-43. ___. Charitable Giving and the Gross National Product." Black Scholar 7 (March 1976): 2-4. ___. The Golden Triangle." Journal of Defense and Diplomacy 5 (1987): 44-49.